Hurry, tune into the “UFC Fight Night 90: Dos Anjos vs. Alvarez” post-fight press conference to hear Eddie Alvarez talk about capturing the lightweight title by putting Rafael Dos Anjos down! 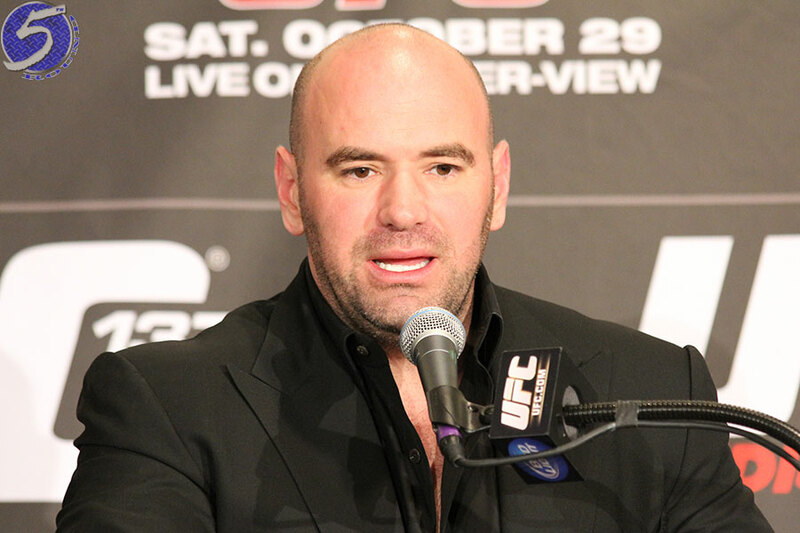 Or, you can be like everyone else and watch what UFC president Dana White has to say about Anderson Silva stepping in on just two days’ notice to fight light heavyweight champion Daniel Cormier at UFC 200 in a non-title affair. Yeah, let’s go with both, but more for the latter! The presser is scheduled to start at approximately 12AM ET/9PM PT. In addition to White (pictured) and Silva, Alvarez, Dos Anjos, Derrick Lewis, Roy Nelson and the card’s other featured fighters who won’t require medical attention are also expected to face the firing squad. UFC Fight Night 90 took place Saturday inside Mandalay Bay Events Center in Las Vegas, Nevada.